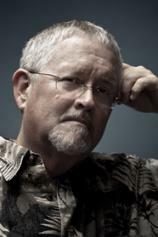 Orson Scott Card is best known for his science fiction novel ENDER'S GAME and its many sequels that expand the Ender Universe into the far future and the near past. Those books are organized into the Ender Quintet, the five books that chronicle the life of Ender Wiggin; the Shadow Series, which follows on the novel ENDER'S SHADOW and are set on Earth; and the Formic Wars series, written with co-author Aaron Johnston, that tells of the terrible first contact between humans and the alien "Buggers." Card has been a working writer since the 1970s. Beginning with dozens of plays and musical comedies produced in the 1960s and 70s, Card's first published fiction appeared in 1977 --- the short story "Gert Fram" in the July issue of The Ensign, and the novelette version of "Ender's Game" in the August issue of Analog. The novel-length version of ENDER'S GAME, published in 1984 and continuously in print since then, became the basis of the 2013 film, starring Asa Butterfield, Harrison Ford, Ben Kingsley, Hailee Steinfeld, Viola Davis and Abigail Breslin. Card was born in Washington state, and grew up in California, Arizona and Utah. He served a mission for the LDS Church in Brazil in the early 1970s. Besides his writing, he runs occasional writers' workshops and directs plays. He frequently teaches writing and literature courses at Southern Virginia University. He is the author many SF and fantasy novels, including the American frontier fantasy series The Tales of Alvin Maker (beginning with SEVENTH SON). There are also stand-alone science fiction and fantasy novels like PASTWATCH and HART'S HOPE. He has collaborated with his daughter Emily Card on a manga series, Laddertop. He has also written contemporary thrillers like EMPIRE and historical novels like the monumental SAINTS and the religious novels SARAH, RACHEL and LEAH. Card's recent work includes the Mithermages books (LOST GATE, GATE THIEF), contemporary magical fantasy for readers both young and old. Card lives in Greensboro, North Carolina, with his wife, Kristine Allen Card. He and Kristine are the parents of five children and several grandchildren. Ender Wiggin won the Third Formic war, ending the alien threat to Earth. Afterwards, all the terraformed Formic worlds were open to settlement by humans, and the International Fleet became the arm of the Ministry of Colonization, run by Hirum Graff. MinCol now runs Fleet School on the old Battle School station, and still recruits very smart kids to train as leaders of colony ships, and colonies. Dabeet Ochoa is a very smart kid. Top of his class in every school. But he doesn’t think he has a chance at Fleet School, because he has no connections to the Fleet. That he knows of. At least until the day that Colonel Graff arrives at his school for an interview. Danny North is the first Gate Mage to be born on Earth in nearly 2,000 years, or at least the first to survive to claim his power. Families of Westil in exile on Earth have had a treaty that required the death of any suspected Gate Mage. But Danny survived; he battled the Gate Thief and won. What he didn't know at the time was that the Gate Thief had a very good reason for closing the Great Gates --- and Danny has now fallen into the power of that great enemy of both Earth and Westil. When the alien ship screamed through the solar system, it disrupted communications between the far-flung human mining ships and supply stations and between them and Earth. So Earth and Luna were unaware that they had been invaded until the ship pulled into Earth orbit, and began landing terra-forming crews in China. From the author of ENDER’S GAME, comes an unforgettable story about young Alvin Maker: the seventh son of a seventh son. Born into an alternative frontier America where life is hard and folk magic is real, Alvin is gifted with the power. He must learn to use his gift wisely. But dark forces are arrayed against Alvin, and only a young girl with second sight can protect him. Here on Earth, Danny North is still in high school, yet he holds in his heart and mind all the stolen outselves of 13 centuries of gatemages. The Families still want to kill him if they can't control him…and they can't control him. He is far too powerful. When Danny comes face-to-face with the mages who call themselves Bel and Ishtoreth, he will come to understand just why Loki closed the gates all those centuries ago. The mining ship El Cavador is far out from Earth, in the deeps of the Kuiper Belt, beyond Pluto, when its telescopes pick up a fast-moving object coming in-system. El Cadaver has a variety of other problems that worrying about an alien ship doesn’t seem important, but in fact, it’s the most important thing that has happened to the human race in a million years. The first Formic War is about to begin. At the end of SHADOW OF THE GIANT, Bean flees to the stars with three of his children who share the engineered genes that gave him both hyper-intelligence and a short, cruel physical life. But they are about to make a discovery that will let them save themselves, and perhaps all of humanity. To defend against a hostile alien race, government agencies breed child geniuses and train them as soldiers. A brilliant boy, Andrew "Ender" Wiggin is drafted to the orbiting Battle School for rigorous military training. Is Ender the general Earth needs? His two older siblings are every bit as unusual as he is, and between the three of them lie the abilities to remake a world --- if the world survives.